Pettitts Animal Adventure Park01493 701403work ZooPettitts Animal Adventure Park near Great Yarmouth is the top attraction to visit because it is three parks in one. Superb fun rides include Flying Elephants, Teacups, Runaway Train, Roller Coaster, 1/2 Mile Miniature Train, Alice in Wonderland, Toad of Toad Hall plus Robin Hood's adventure play area, new construction site and chicken puppet show. Animals galore, with Lemurs, Meerkats, Alpaca's, Racoon's reptile house and a petting area where you can feed the animals and there is lot's more to see. Live shows, 3 times a day, featuring Bingo the clown and the park mascot Maxi the mouse. We have large picnic areas as well as two catering units, Palm's Cafe and Maxi Snax where hot and cold food and snacks are available. Our gift and candy shop offer a wide range of souvenirs and crafts. Pettitts Animal Adventure Park near Great Yarmouth is the top attraction to visit because it is three parks in one. 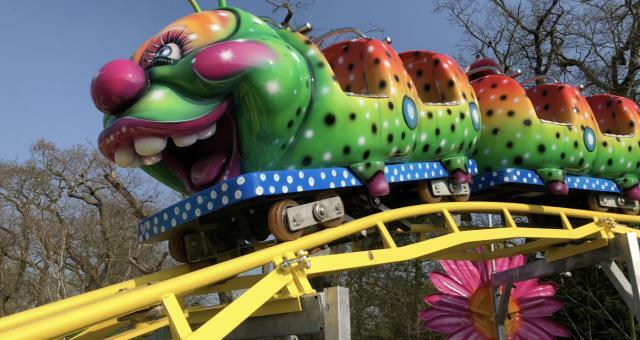 Superb fun rides include Flying Elephants, Teacups, Runaway Train, Roller Coaster, 1/2 Mile Miniature Train, Alice in Wonderland, Toad of Toad Hall plus Robin Hood's adventure play area, new construction site and chicken puppet show. So spend a day not a fortune at Pettitts Animal Adventure Park. From Great Yarmouth follow A47 to Acle. From Acle follow Brown & White Tourist Signs to Pettitts. Special dietry requirements to be requested in advance.